Here, you will experience relaxation at it finest. Leave all your worldly thoughts behind as you step into Grandma's house. There is an in house therapist who specializes in 45 different kinds of traditional Kerala therapies. A Yoga and Meditation Centre, a Vegetarian Restaurant and a Treatment centre make your stay all the more pleasing. 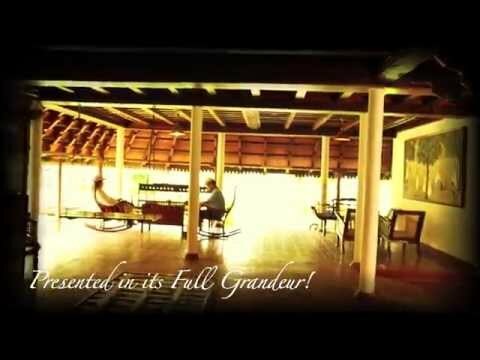 Shipped specially from Kerala to preserve its authenticity, Ayurvedagrams beautiful old Kerala-themed structures are all three centuries old. The architectural styles of each house is very unique. Ayurvedagram has Hindu, Muslim and Christian styles homes and a special Poets house. Ideal getaway for people who have a busy professional life. This place is best suited for those who are looking for authentic Ayurvedic treatments from professionals. Ayurvedagram is a treat for design and architecture buffs. Explore the property on the walking trails and talk to the staff about the history of the place.Want some private time? Sit in the solitude room with your favorite book.The food is Saatvik vegetarian, must try!. All the room prices include food, treatments, toiletries etc. You don't need to bring anything except clothes. Meals are not included. Guests need to order from the in-house cafeteria. Maintain peace and calm as many guests would be seeking ayurvedic therapy for various ailments.